We can help! 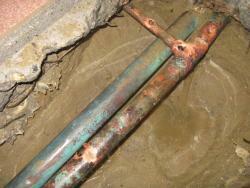 As a local plumber, we provide a wide variety of plumbing services for Phoenix East Valley residents. Have a question before you book service? Give us a ring and chat with us now. 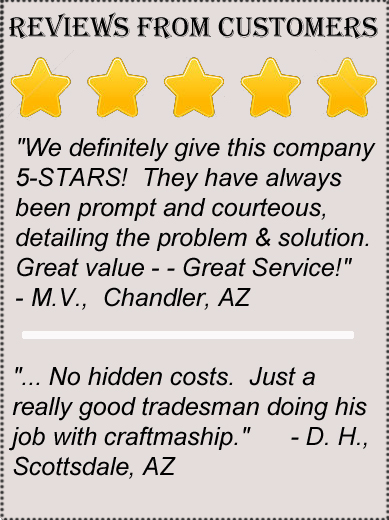 From Phoenix to Mesa, Scottsdale to Queen Creek, “Simply Better” Will gladly meet with you to provide a FREE estimate. No hassles. Give us a call right now! You need someone that is honest, reasonable, and going to do an excellent job. Our company always guarantees satisfaction. For over 30-years “Simply Better” has satisfied customers with quality service. When it comes to plumbing, your only call should be to “Simply Better Plumbing & Drain”. At Simply Better Plumbing & Drain in time we have come to learn that our customers are our most valuable asset. We believe that our honesty and integrity in each and every job we do will keep our customers more than content and happy. Simply Better thrives on fulfilling the demands of ever customer no matter how hard, complicated, or big the job may be. Everyday we push our company further to become the most efficient, professional, and valuable for our customers. So when you call “Simply Better” you can be sure that we can be counted on for your every need. 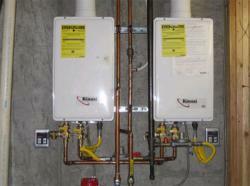 Commercial License ROC 291141 Residential License 291140.
as Your Plumber in Mesa and Phoenix East Valley? A big “Thank You” to Don, Steven, and the crew for your excellent work with our home water leak repair. Your attention to detail, fair price, and excellent service is so much appreciated. Keep up the good work. -Carolyn and Tom, Sunland Village. Plumbing firm in Phoenix > Offers “Really Free of Charge” Estimates Plumber in all over the valley will provide free estimates with no strings attached. Paid a lot for “Free estimates,” simply because they refused to “cave in” to the 2,000+ work orders. Have been “hustled” into paying out $1,500+ to get a water heater that some paid $500 for. Still more have been ripped off by “plumbers” who had been actually “con-men and salesmen” in disguise. Call 480-993-2230 or fill in the short form below and we will be in contact right away! My suggestion after interviewing Don is this; “Why not seek Don Paz out for your plumbing needs to begin with?” There is no need to go down that sad road broken plumbing – broken promises. Don states “Free means free, our estimates are free if you decide to hire us or not. Our happy clients tell us this is outside the norm in the Mesa East Valley area. So we want to apply the Golden Rule here and treat our clients the same way we want to be treated: Always a free estimate.